"The basic premise of both GraphQL and Falcor is that the server exposes a comprehensive data schema to the client, and the client decides exactly what it needs. Unlike with discrete REST endpoints, all the data for any given UI (page) can be sent in one trip to the client. out-of-the-box simplicity and is GraphQL-like." "Announced at GitHub Universe last year, GitHub GraphQL API aims to add more flexibility to GitHub API. 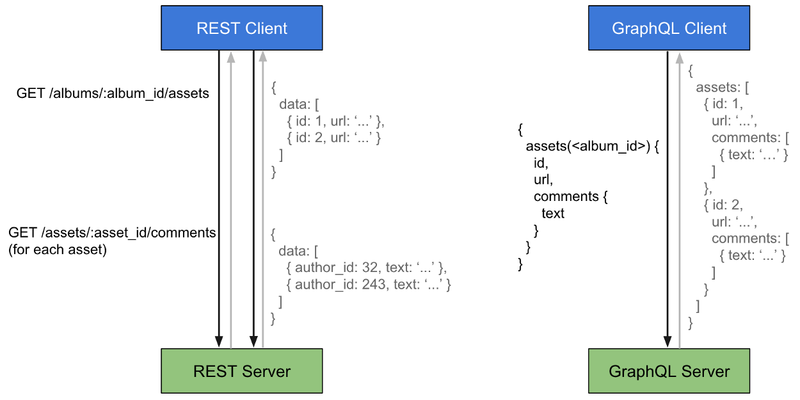 The main advantage of GraphQL is its ability to define exactly what data are required, which makes it possible to replace multiple REST request with a single call. Additionally, GraphQL schemas are strongly typed and introspective."